Where better to celebrate Thanksgiving than Brisbane's best American bar. We will be serving up $15 roast turkey sandwiches from 11:30-3pm. 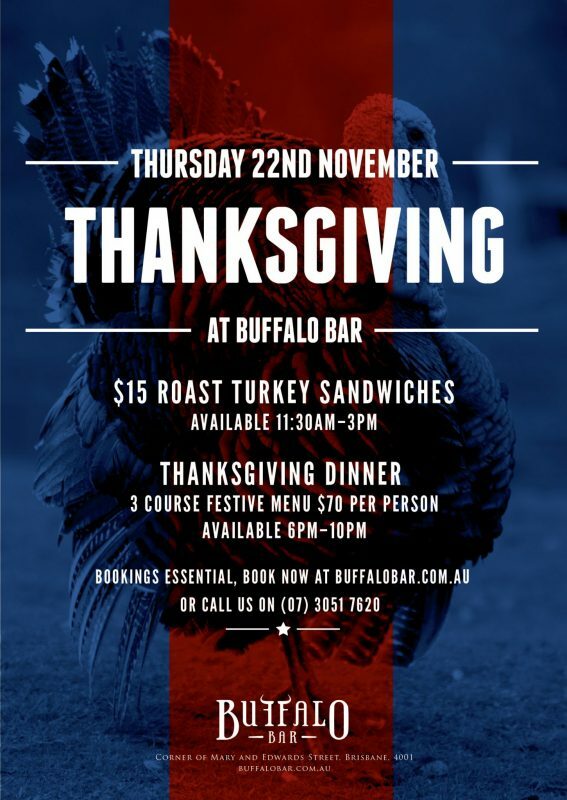 Or why not go all out and book in for Thanksgiving dinner, 3 course festive menu for $70pp. Available from 6pm-10pm. Served with sweet potato rosti, smoked bacon & char grilled brussel sprouts with a Waldorf salad & cranberry jus. Served with maple whipped cream & pumpkin seed brittle. Bookings essential, treat yourself this Thanksgiving!